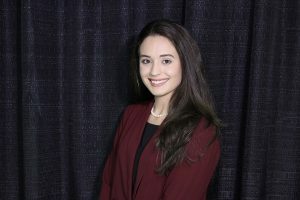 The Surgent CPA Review’s Student Ambassador Program is a leadership program that offers students an opportunity to enhance their business skills, gain exposure to the accounting industry, and most importantly it teaches students what to expect when pursuing the CPA and how to be a successful candidate. The position of Student Ambassador is to serve as a liaison between Surgent and the school the Ambassador is currently attending. Become a Student Ambassador Today! One of my professors reached out to me about what he thought would be a wonderful opportunity— applying to be a Surgent CPA Review Student Ambassador. While at BAP’s annual meeting in Washington DC, I approached Surgent’s information booth and was enthralled with the energy of the Surgent representatives, as well as their competency in answering my questions. I chose Surgent because of the successful pass rates, user friendly system, and incredible amount of study resources provided. I was impressed with the structure of the Ambassador Program, too, and honored by their willingness to let me become a part of the team. A few weeks later, I began my journey as a Student Ambassador! I will enter into a summer internship at an accounting firm and, ultimately, attend graduate school. I enjoy hanging out with my friends, doing yoga, traveling with my mom for her work, and playing with our two dogs. Interested in being featured in our next Student Ambassador Spotlight, or learning more about the Student Ambassador program? Email Jordan Junqua at JunquaJ@Surgent.com.